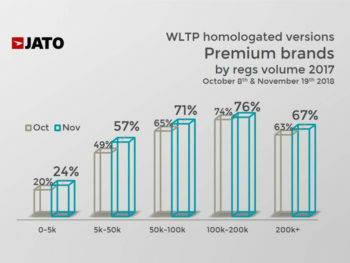 WLTP homologation is proving to be a more difficult process than expected. Very little has changed between our first measurement in early October and the latest measurement from November. 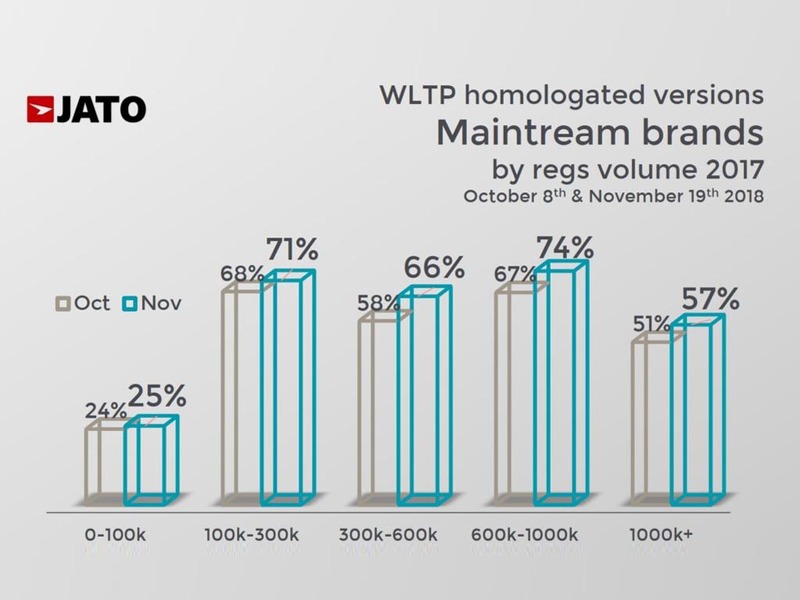 JATO’s data shows that 63% of versions available in Europe were homologated as of 19th November. This represents a 6 percentage points increase from 5 weeks before, which confirms that progress is still very slow. However, complete homologation is not expected, with talk of some models being dropped due to low sales volumes, or simply because it is too difficult achieve homologation. 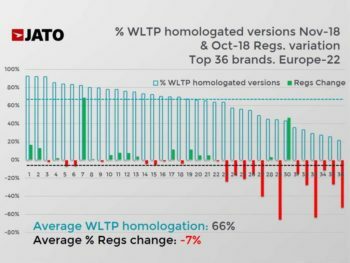 Some of the brands that had an above average homologation rate in October, and that posted the biggest improvement in November, include Abarth, Hyundai, Lexus, Kia, Peugeot, Suzuki, Land Rover, Jeep, Renault and Citroen. 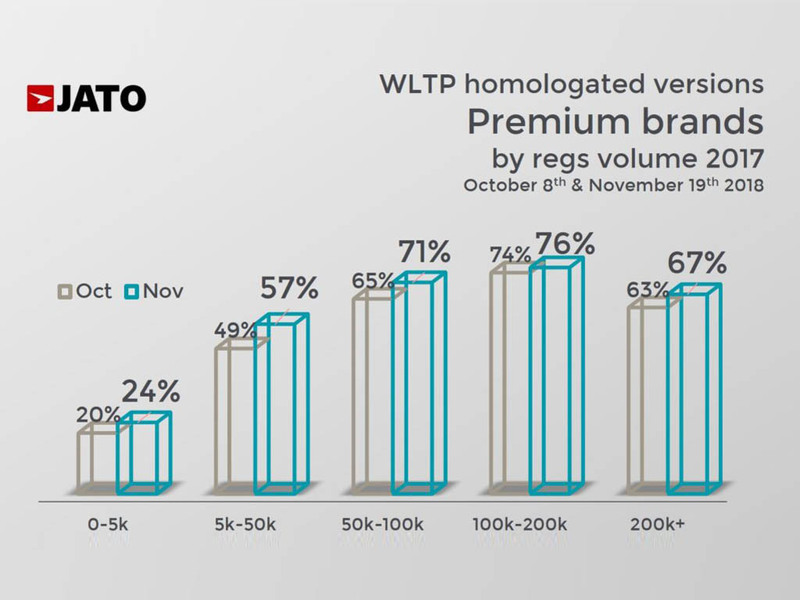 Although, WLTP is still having an impact on registrations, it doesn’t completely explain the overall drop in the market seen in October, when total registrations fell by 7.1%. There are some brands that continue to face challenging times despite having made an improvement on their homologation status. Even if they recorded less registrations in October than in September, results indicate that this could be down to structural issues like the lack of appeal of some of their models, or the effect of the diesel crisis. 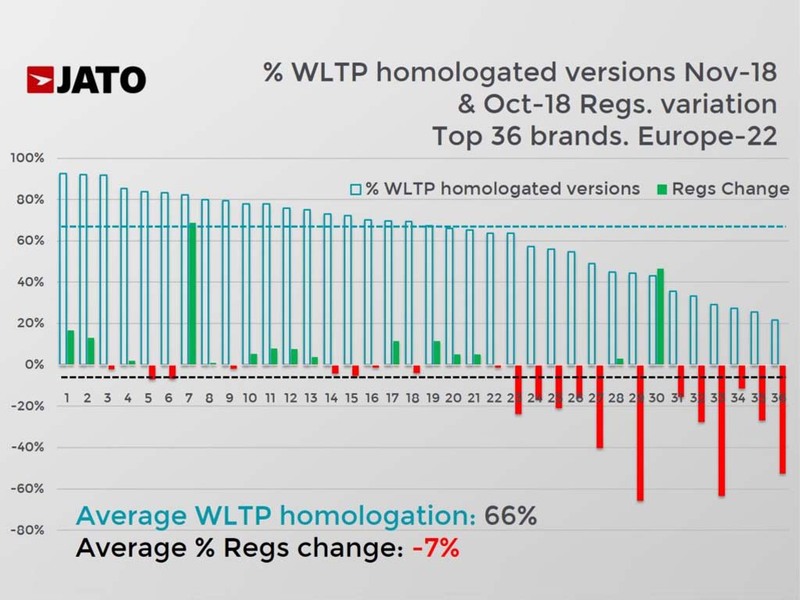 Our data also shows that 23 of the 36 key brands reviewed posted a higher homologation rate than the average. These brands made up for 69% of European registrations in H1 2018. 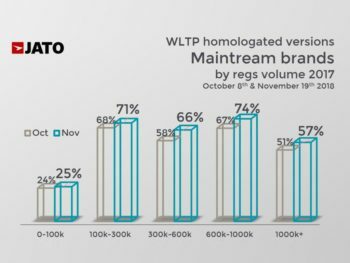 While this is relatively positive, on the other hand, some major brands are still struggling to homologate their key models, and this is having a big effect on the overall results. If we add this to the already challenging Brexit situation, trade tensions, Italian budget issues and the slowdown of the Chinese and US car markets, the European car industry is likely to see lower growth rates in the coming months.